It’s Fleet Week in NYC, which means thousands of Military Personnel have trickled off the boats into the City that Never Sleeps. To celebrate Memorial Day weekend, the Miss USA Contestants took over our double-decker tour bus in NYC! The contestants are building 40 bikes for military children who’s parents have been deployed. Watch the entire Fox News segment of the Miss USA Contestants on our bus here. Alright all of you night owls, it’s Friday the 13th! If you’re wondering what to do on this spooky evening, mix things up and celebrate with the Night Tour in NYC. During the Night Tour, you’ll stop at the historic Brooklyn Fulton Ferry Landing for a photo opportunity and jaw dropping views of the glittering Manhattan Skyline. Enjoy nighttime views and ambiance of Times Square, Chinatown, Empire State Building , Greenwich Village, SoHo, Little Italy, Manhattan Bridge, Brooklyn Bridge and Lower East Side. Are you a New York Yankees fan? The first 50 people to show up in Yankees gear outside of the Gray Line New York Visitor Center at 11am on Wednesday, 5/11 will win a FREE Downtown Loop tour. At noon, National Baseball Hall of Fame inductee, Reggie Jackson will join the bus & hand out autographed baseballs through trivia responses answered correctly by fans on the bus. The Visitor Center is located at 777 8th Avenue in Times Square NYC. Click here to learn more about Reggie Jackson. Follow Times Square NYC on Twitter. Like Times Square NYC on Facebook. Are you a fan of One Tree Hill or Laguna Beach? 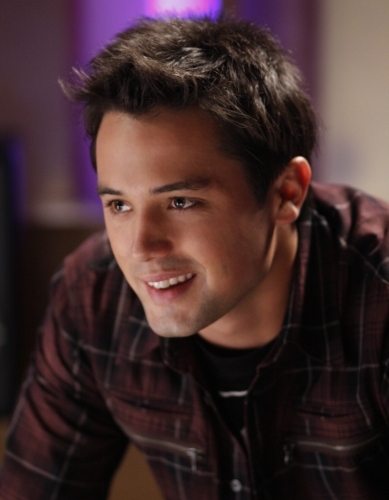 If so, make sure to channel your inner paparazzi this Wednesday, May 11th at 2PM to catch a glimpse of Stephen Colletti. The One Tree Hill actor is having a photo shoot on our red double-decker and taking the Downtown Loop tour. If you want to see Stephen, meet at the Gray Line New York Visitor Center located at 777 8th Avenue at 2pm. Click here to follow Stephen on Twitter. Due to President Obama arriving in NYC for the Ground Zero memorial, our Times Square stop will relocate to 50th Street and 7th Avenue for roughly 2 hours. Between 10:15am – 12:15pm, please go to 50th Street and 7th Avenue for the Downtown Loop or 41st Street and 7th Avenue. The President will lay a wreath down at the memorial at 1:25PM Thursday, 5/5/11. Click here for more information about the memorial. Click here for more information on the Downtown Loop.